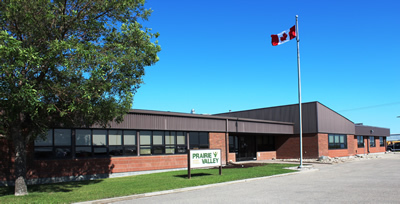 Prairie Valley School Division has more than 8,100 students. Over 1,200 are students with special needs who receive a range of supports through a multidisciplinary team that includes speech and language pathologists, occupational therapists, psychologists, consultants and coordinators, as well as outside agencies to remove barriers to education and enhance opportunities to engage in learning. Approximately 1,300 students are self-declared First Nation and Métis students. Over 500 of these students live on First Nations land in the Prairie Valley region. We also have a growing number of immigrant students, as well as our Hutterian students of German origin who attend the two Hutterian schools in Prairie Valley. Our division's high school graduation rate for the 2013-2014 school year was 83%, almost 10% higher than the provincial average.